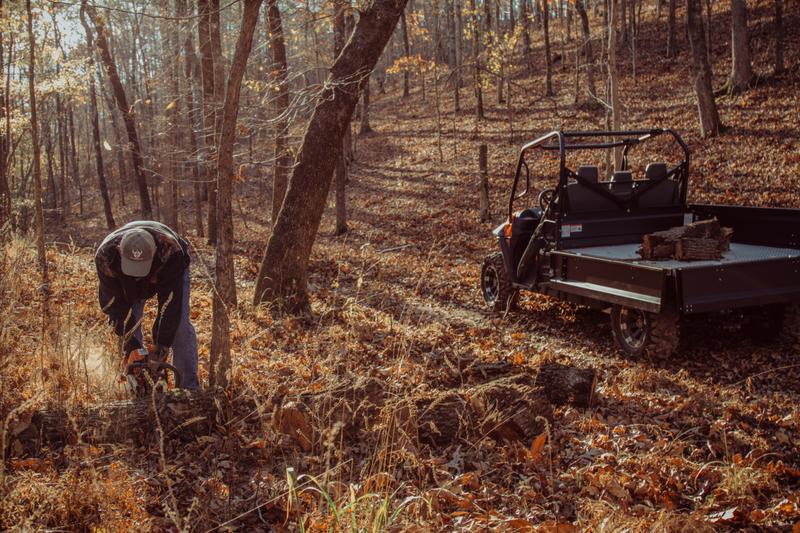 3 Reasons You Need a Utility Vehicle on the Farm | Intimidator Inc. Farmers are often up long before the sun, and they are still out hard at work late into the evening. After hours spent working in the field, you expect your equipment to work as hard as you do. Farm utility vehicles, like the Intimidator UTV, are a reliable, cost-efficient, and versatile way to maximize productivity on your farm. But, it can be hard to know when to invest in a side by side or what type of utility vehicle you may need. Intimidator UTV offers a number of farm utility vehicle options designed to maximize efficiency on any size farm, and hopefully, make your decision just a little bit easier. Whether your farm is two acres or two hundred acres, by the end of the day, you may feel like you have walked a marathon! In fact, you have probably added more than a couple of hours labor to your day. Utilizing a farm utility vehicle like an Intimidator UTV allows you to greatly improve day-to-day efficiency. The ability to haul heavy loads ranging from 1,000 to 1,200 lbs. allows you to save both time and energy moving equipment. Plus, increased speeds allow you to routinely check in on livestock, move larger amounts of product, and conveniently travel through even the most difficult parts of your land. You will also be able to better mobilize your workforce. Intimidator utility vehicles range from high-speed, two-seater vehicles like the GC1K and Enforcer ATV, perfect for moving small teams or individuals, to the Intimidator Crew Cab series with an increased passenger capacity of up to six adults to help effectively utilize field crews. With this level of versatility, one can easily find options suited for different roles or farm sizes. Intimidator utility vehicles can also be specialized through customizable ordering options to maximize your investment. The 4XD package (available on the Classic, Crew, and Truck series) allows you to add an electric bed dump, 2-in front receiver hitch, and more. Further customizations can include the addition of over 35 add-on accessories. 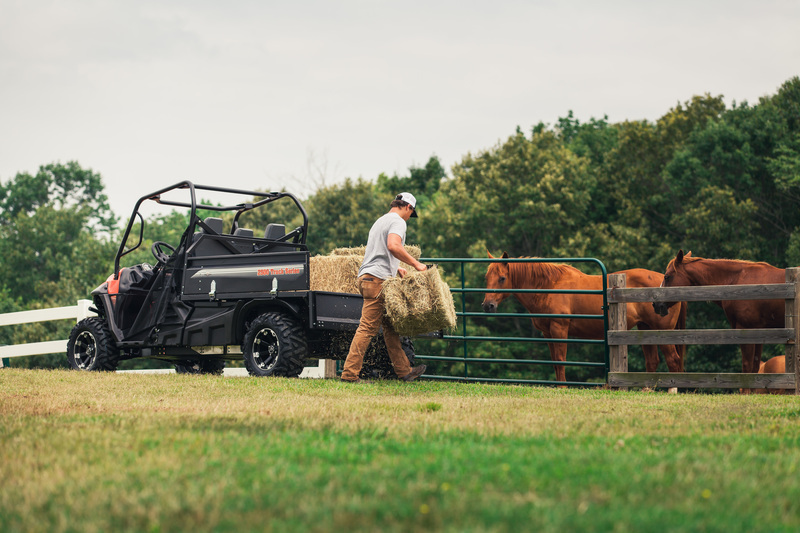 With options ranging from a Warn ProVantage Winch to an Intimidator Front Cargo Basket, you can easily create the versatility of a tractor, without sacrificing speed or maneuverability. Utilizing a side-by-side on your farm not only reduces time and, as a result, labor costs, but also increases your maneuverability. These vehicles can fit into tight spaces and coast over uneven terrain, allowing you to access areas a truck or tractor may not be able to venture. This not only means greater access to your land but also reduced maintenance on your larger vehicles. If your farm has more than a few spots of rough terrain, adding one of our Intimidator utility vehicles to your equipment lineup could end up saving you hundreds of dollars in flat tires, alignments, and other repairs. Intimidator UTVs also provide better transportation during inclement weather. Not only can they tread through muddy puddles and sinking soil, but they are also able to navigate through snow. Your livestock won’t wait for the snow to melt before getting hungry, and neither can you. 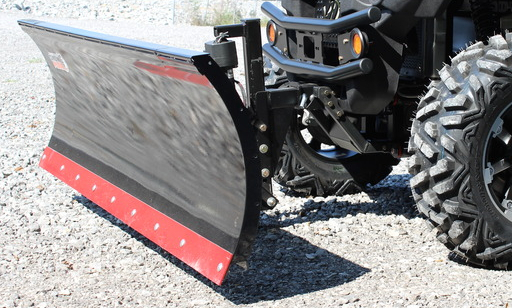 These vehicles can also make clearing snow piles simple through the addition of accessories such as the Intimidator Snow Plow, giving you access to your entire farm year around. Intimidator utility vehicles give you speed, capacity, maneuverability, and durability, all without sacrificing hauling power. The Intimidator Truck Series provides a 6-foot, black powder-coated aluminum truck bed with fold-down sides for hauling irregularly shaped items. Both Intimidator Truck Series and the Intimidator Classic Series can tow up to 2,100 lbs. and hold up to 1,200 lbs. of cargo in the bed. That kind of power would take individual employees hours to carry and loading down your truck or tractor day after day could come with some costly side-effects. Our utility vehicles were made to do the heavy lifting, so you don’t have to. Here at Intimidator UTV, we understand the hard work you put into your farm, and we want to help you invest in the right product that works for you. Our side-by-sides are made right here in America, where we work side by side with farmers to create the best products for your needs. Stop by and talk with one of our knowledgeable dealers today to discuss which of our utility vehicles would be best suited for life on your farm. Need help finding a dealer? No problem. Use our DEALER LOCATOR to find an Intimidator UTV dealer near you. Or, if you already have an Intimidator vehicle, check out our list of ACCESSORIES to make sure you are getting the most out of your side-by-side.